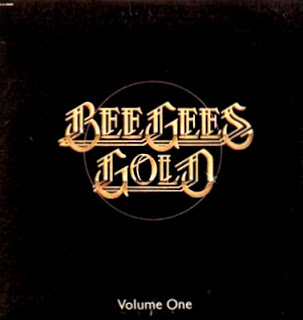 Bee Gees Gold was the first record I ever bought. It was a used copy, already ragged; I remember the frayed cardboard at the edges when I opened up the album. I picked it up from some older kid at our elementary school swap meet. It cost a quarter, I think. And to be honest, I have no memory of listening to it. What I remember is the thrill of ownership. I grew up in a house full of grown-up records, but they weren’t mine, and I wasn’t really ready for folk and blues, country and soul. Like any suburban child of post-hippie parents, I had been given a small collection of great, authentic kidsong albums, but those were my parent’s choices, and already behind me. The Bee Gees greatest hits were the first music I could hear on the radio, and then play again as many times as I wanted. Whether I played it or not wasn’t the point. Buying it, taking it home, pulling against the slight vacuum that held it inside its sleeve, making a place for it on the shelf: it was a revelation, like discovering the key that unlocked the universe. The experience of buying Bee Gees Gold, plus the rapid-fire acquisition of a used copy of AC/DC’s Back in Black, and a few records released that year — Survivor’s Eye of the Tiger, Toto IV, Michael Jackson’s Thriller — would spark a lifetime of collecting and audiophilia. A quarter century later, my closets are full of long-dormant vinyl; the attic is stuffed with milk crate collections, and archived jewel cases. I download far more than I should, and digitize everything I can. My digital collection passed the 25000 song mark just this morning. My students have always been amazed at the sheer amount of music on my iPod. But true audiophiles know that there’s an awful lot of great music out there, and what if you have a hankering for something and you don’t have it, ready to call up in the database? I live in a world of shuffle and playlists, theme and artist retrospectives, and new albums and discoveries. I cannot drive without a soundtrack; I look forward to mowing the lawn, in part, because it means an hour of meditative activity with headphones on. I build my summer around folk festivals. I spend almost every evening writing about music in one way or another, here and at collaborative blog Star Maker Machine. Listening, collecting, owning, sharing and enjoying music have become fully intertwined. But though my tastes have turned towards the acoustic and the authentic over the years, you never forget your first. In tribute to the record that started it all, today we present some of my favorite folk and folk-tinged Bee Gees covers. Most are recent indie-folk — as we’ve mentioned previously in our Covered in Folk series, the tendency for artists to bring the songs of their childhood cultures into their own repertoires means that a whole new set of indiefolks in my age group have recently begun adding Bee Gees songs to their performance canon. And a few are tongue-in-cheek; it’s hard to be earnest about something which will forever be associated with sequined bell-bottoms and high-pitched discopop harmony. But under the glitz and glitter, there’s a surprising power here. Turns out the Brothers Gibb actually knew how to write songs with meaning, after all. Not a bad choice, for a nine year old kid suddenly opened to a world of possibility. Like what you hear? Eschew the big anti-artist commercial megastores; click on links above to purchase small circular plastic carriers of audible joy direct from artist and label websites. Or, if you prefer downloads, and are interested in an equally artist-centric solution, why not join up at Amie Street, where artists receive 70% of all profits, and retain all rights to their work…and where, thanks to a sliding-scale pricing model, tracks generally cost less than almost anywhere else? As an added incentive to Cover Lay Down readers, the folks at Amie Street are offering you $3.00 FREE towards your purchase; to get it, all you have to do is enter the code “coverlaydown” when you sign up. Totally worth it, dude.